Why Huntsville will be one of the most connected cities in the U.S. While Google, Verizon, Comcast and other giant providers struggle to deploy ultra-fast broadband, a small, regional ISP is bringing gigabit fiber service to thousands of homes and small businesses in San Francisco at a surprisingly low price. 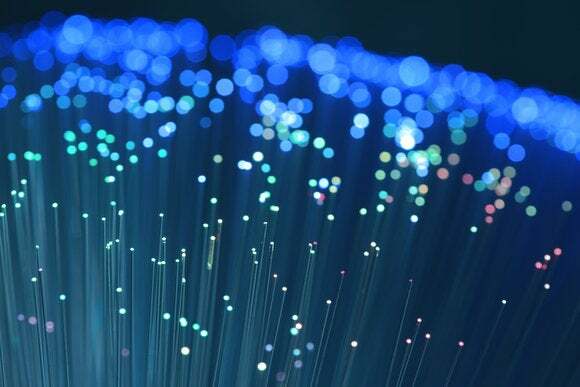 The success of Sonic, an independent ISP based in Santa Rosa, California, shows that even a small provider can deliver the latest technology when regulators allow it to compete with its much larger rivals on an even playing field. But Sonic, and other ISPs could expand even faster if local public works departments would allow them to use modern trenching techniques to bury their cables under city streets. I had a chance to discuss these issues with Dane Jasper, the CEO and co-founder of Sonic. Consumer Reports ranked his company as the second-best broadband provider in the country, and the Electronic Frontier Foundation gave it a five-star rating for protecting privacy. And this week, Sonic announced that it is more than doubling its fiber deployment in San Francisco. Stringing fiber along existing poles should be relatively easy. But in some parts of the country, large telephone companies control access to those poles and make it as difficult as possible for a new competitor to share them. “This is a national issue,” says Jasper. In Louisville, Kentucky, for example, AT&T is suing the city government to repeal an ordinance that would have given Google efficient access to its poles. The suit stopped that deployment in its tracks. The ordinance would have required that AT&T allow Google or other providers to rearrange the wires on the poles to make room for their fiber cables. Instead, AT&T insists on doing the work itself, and not surprisingly takes a lot of time to do so. If other utilities share the pole, they all get to move their own wires, creating even more delay. But in San Francisco, there’s no such law, and Sonic is able to use existing poles to extend service across the city. Doing so isn’t cheap, but Jasper figures that there’s plenty of demand for gigabit service, since Comcast and AT&T don’t yet provide it here. “Fiber is a long-term investment for us. We believe it will pay off,” he says. The other option for deployment requires a provider to dig a trench to lay the cable, a process that’s three to ten times more expensive than aerial deployment, Jasper told me. In fact, Sonic will only deploy fiber in neighborhoods where utilities are above ground and poles are available. On my street, for example, Sonic uses the poles to provide fiber service. But on a major thoroughfare about 100 yards away, there are no poles, so Sonic won’t serve the numerous businesses and apartment houses there. It turns out, though, that there’s a way to put the cables underground for much less money. Instead of digging a wide, deep trench, a contractor could use a process called “micro trenching.” Simply put, that means digging a narrow and relatively shallow trench, which means there’s less labor, less disruption, and a lot less expensive repaving to do. Although some cities, including Chicago and San Diego, allow micro trenching and related technologies, San Francisco doesn’t. To be fair, says Jasper, you can’t blame that on rival ISPs. Major cities have lots of utilities underground and city engineers are understandably protective of their infrastructure. Regulations mandating deep trenching were established before the new trenching methods were developed. Now, though, San Francisco Supervisor Mark Farrell has introduced legislation that would permit micro trenching. There are many details to work out, but the city’s Public Works department has been supportive and no significant opposition from other ISPs has yet surfaced, Jess Montejano, Farrell’s legislative, told me. That’s good news for Internet-loving San Franciscans, of course, but even if you don’t live here, Sonic’s success, limited as it may be, is proof that affordable, ultra-fast broadband is a realistic goal.